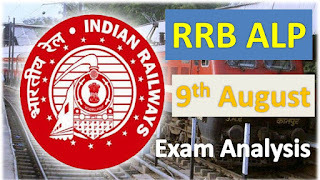 Railway Assistant Loco Piolet 9th August Asked Questions Analysis: Hi Viewers welcome to ssc-ibps.com, in this post we are sharing the Railway Recruitment Board 2018 Assistant Loco Pilot Prelims Exams 9th August analysis and asked questions in all shifts. 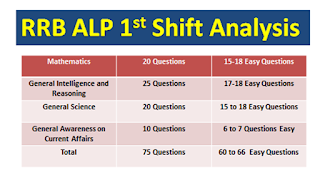 Below this paragraph given the all latest updates about the RRB ALP 2018 Prelims written test 1st Shift, 2nd Shift, and 3rd Shift exam questions and analysis of written test. 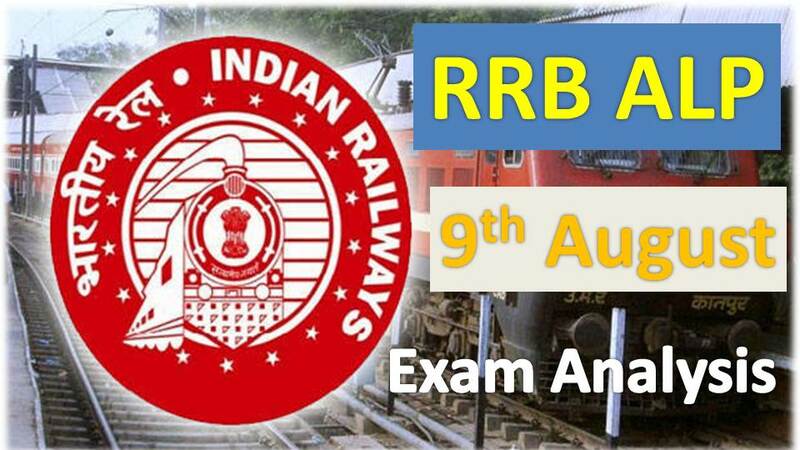 Railway Recruitment Board has conducted the online exam for ALP 2018 at different examination centers in India. More than 47 lakhs candidates are writing these Assistant Loco Pilot prelims test. ALP Test Duration is 60 minutes (1 Hour) total 75 questions are asked in written test. Q1.Mendelives's Periodic table is based on? Q5.Rank of India in Corruption index?